Sample shown using Fleur de Lis motif design and EESH4 typestyle lowercase. 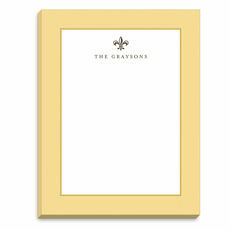 Set of Seaglass Wheat flat note cards with blank envelopes. 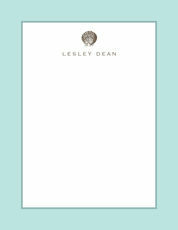 Size of note cards is 4.25" x 5.5". Flat printed in ink color as shown with your choice of motif design and typestyle.